The value of business partnerships is reflected in the success of our Five Forward Initiative. The Mission of Five Forward is to engage the corporate community in our common goal of strengthening our economy and enhance job creation by supporting a stronger Chicagoland MBE Community. 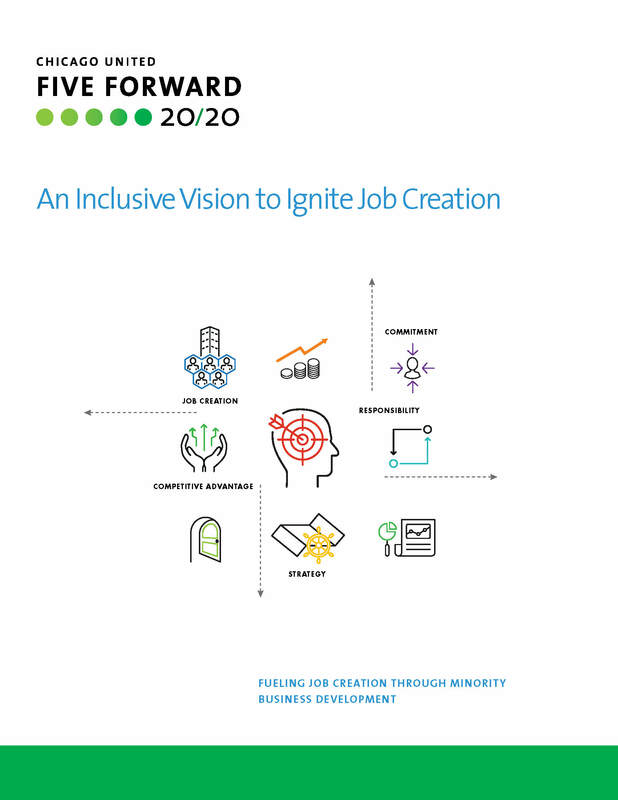 The vision of Five Forward is to increase the number of Minority Business Enterprises (MBEs) of scale and to create jobs in communities of color. The objectives of Five Forward are twofold: 1) Strengthen the regional and local economy; and 2) Support development of minority business of scale. Download the initial report and executive summary that led to the creation of Five Forward. Click here to view the Five Forward Minority Business Enterprises Directory. The Surdna Foundation seeks to foster sustainable communities in the United States – communities guided by principles of social justice and distinguished by healthy environments, strong local economies, and thriving cultures. Learn more at www.surdna.org.